Jewish scientist enthusiastically supported American A-bomb development when he anticipated the weapons would be used against Germany — but opposed American development of the H-bomb when the adversary might be the USSR and the Communist bloc. When the Soviet Union detonated an A-bomb in the atmosphere in 1949, Truman had no choice but to order America to start to work on the H-bomb, which he did on January 31, 1950, even though the Oppenheimer crowd was highly critical of his decision. Oppy only quieted down when the Russians tested their highly publicized “deliverable” H-bomb on Aug. 12, 1953, less than a year after America’s first H-bomb went off on Oct. 31, 1952. 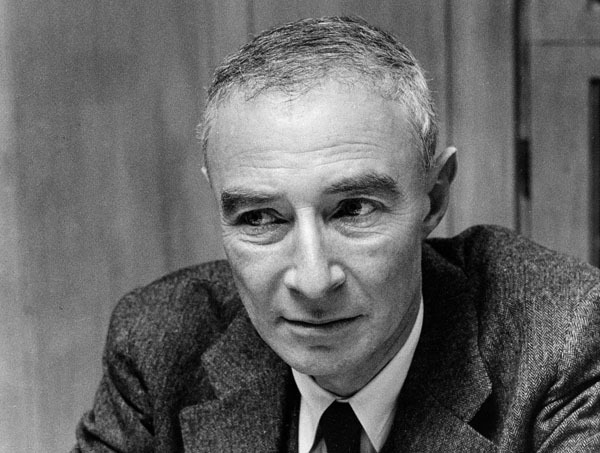 The above information points inescapably to the conclusion that Oppenheimer already knew about the Russian fusion shot even while he was opposing America’s H-bomb program and telling everyone that Russia had no such weapon. As his racial cousins continue to sanctify him with a never-ending series of laudatory plays, TV biographies, books and magazine articles, Oppenheimer’s treasonable activities seem ever darker, ever more dastardly and ever more Rosenbergian. This is still disputed. The Germans are rumored to have conducted two small nuclear tests(about 1 kiloton or less) just before the end of the war! For more details, you may read: “Hitler’s Bomb”, by Rainer Karlsch. The story seems quite credible to me, historically and scientifically.